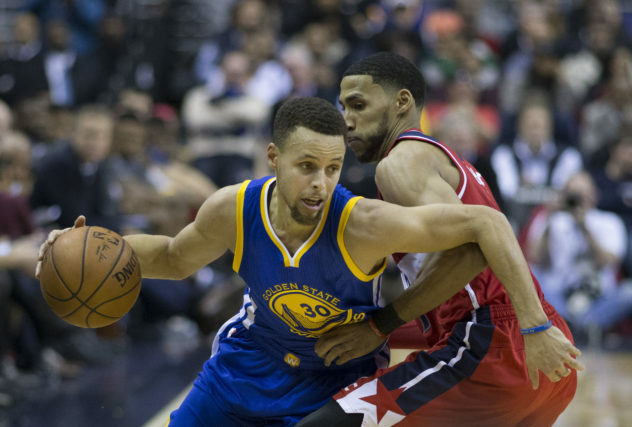 Exactly one week ago, the National Basketball Association (NBA) tipped off its 72nd season. The league is in a good place. It just had, arguably, its most interesting offseason to date. Young, marketable and uber-talented stars are everywhere. And it’s never been more universally popular. Still, the NBA is not for everyone. Trust me. As someone who’s loved the league and the sport itself since childhood, I can say with absolute confidence that the NBA doesn’t just have stubborn factions of non-fans out there — it has true-blue haters. Case in point: When the question, “Do you watch the NBA?” comes up, a terse “Yes” or “No” would do just fine. However, in my experience, there’s roughly a 50/50 chance that this line of inquiry will lead to an impassioned list of Reasons I Don’t Watch being rattled off. They’re primadonnas who don’t play any defense! The college game is way more entertaining! The referees NEVER call traveling! They whine at every whistle! Aww yeah, that’s the good stuff. Pure, unfiltered NBA animus. But I’m not here to convince anyone to watch the NBA who doesn’t care to. More so, I can even admit that perhaps there’s a sliver of truth to those tired grievances (maybe more than a sliver). Lesson #1: Define value through data. The NBA of today is vastly different. Coaches and front-office execs have largely abandoned the go-with-your-gut mentality for an analytics-driven strategy that drills down into player performance at the micro-level with the aim of quantifying the impact of each action. PER, WS/48, BPM and OffRtg are just some of the new statistical models being used to shed light on qualities that were previously intangible. As a result, players defined as “all-purpose” or “versatile” are now deemed more valuable than, say, “volume scorers” — players who score a lot of points but often do so with inefficient shot selection and/or at the expense of defensive effort. Lesson #2: Don’t overthink your next competitive advantage. The most drastic and noticeable change that’s resulted from the NBA’s analytics era has been the proliferation of the three-point shot. Although the three-pointer has been part of the NBA game since the 1979-1980 season, its stigma as a high-risk/high-reward gimmick meant that, for a long time, only a handful of players with exceptional shooting range even attempted it in the course of a game. Turn on the NBA today and you’ll quickly notice that, not only are three-pointers a more central element of the game, they’re arguably the most important part. In just five years (2012-2017) there’s been nearly a 50% increase in the number of three-pointers taken per game. Why? The NBA data-heads did the math: Even though a three-pointer has a lower chance of going in, on average, it still leads to more total points than taking a two-point shot. Golden State Warriors guard, Steph Curry, has taken this new-school mindset to the extreme with three-point statistics that are, almost literally, off the chart. Lesson #3: Repurpose talent to be more strategic. See that rather large man hanging from the helpless rim? That’s none other than Big Daddy Diesel himself, Shaquille O’Neal. For roughly two decades, Shaq was the quintessential NBA center — impressive in size and unstoppable in the paint. However, in today’s NBA, the Shaq archetype doesn’t really exist. And it’s no accident. By the time Shaq retired from basketball in 2011, the gears of NBA analytics were already in motion. Thanks to a greater emphasis on the three-point shot and player versatility, having a traditional “big man” clogging up the lane was no longer a necessity; it became a disadvantage. Thus, the center evolved from being a player primarily relied on for his size to someone expected to be leaner, rangier and more multi-dimensional. Similarly, automation within AR processes is a catalyst for enhancing individual and team performance. Often times, the fear is that people will be replaced by technology but this is almost never the case. Billing and collections is something that can’t (and shouldn’t) be fully automated. By eliminating tedious and low-value collections tasks, staff can be repurposed to spend more time on key accounts and new customers. It’s a benefit that Esker customer, Crescent Parts and Equipment, discovered firsthand. The last thing anyone wants to be is that rigid purist, fist shaking in the air, clamoring about “the way it ought to be” versus the way it actually is. Ask ex-Lakers coach Byron Scott. Ask Charles Barkley. Ask Phil Jackson. There’s plenty of proof, in the NBA world, at least, that the future is something worth fighting for, not against. It bears repeating: The NBA is not for everyone. Furthermore, AR automation might not be the right fit for every business, either. But hopefully these lessons show that, when approached smartly, the embrace of modern strategies and technologies is a critical component to creating your next competitive advantage.